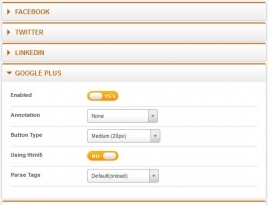 - Added: Automatic get main image (k2), intro image (jooomla content) for og:image meta tag. - Added: New parameter to use document title for og:title meta tag. - Fix bug: Show Facebook comment 2 times if choose position by "Before Comment Block"
- Fixed bug: HTTPs page is shared with incorrect information when using the plugin's function for extensions. 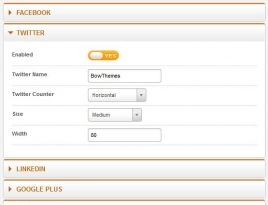 This plugin support various social network for sharing including Facebook: Facebook Share, Facebook Like, Facebook Comment box, Facebook Recommendations Bar; Twitter: Twitter Official Button, TweetMe; LinkedIn Share; Google +1; Digg. 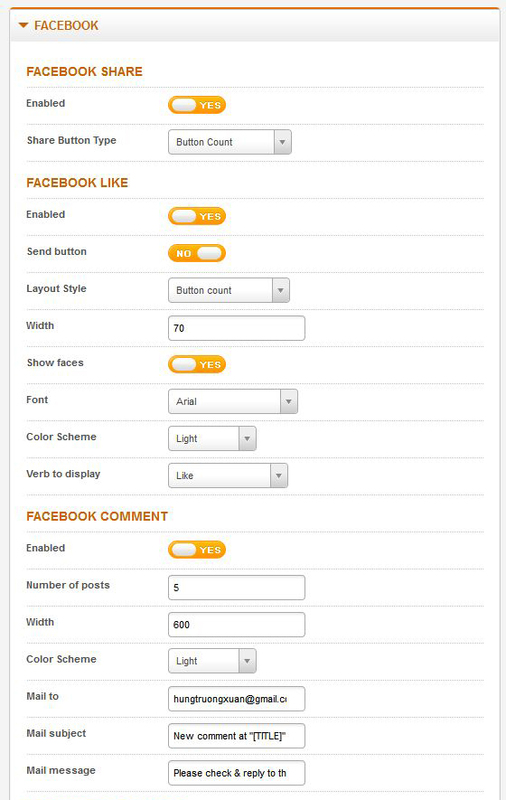 The position of social share button is flexibly displayed in article content. It can be set at top, left, right, bottom and over image. It’s optimal to display button in different styles for the various Joomla layouts (Archived Articles, Single Article, Category Blog and Featured Articles). It’s smoothly compatible with K2 component. 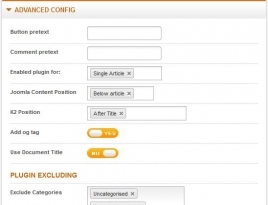 You easily manage and customize your content thanks user-friendly back-end Control Panel. IE8+, Firefox 10+, Safari 3+, Chrome 8+, Opera 9+.